This is the sweetest post I have ever read!!! How tenderly sweet.Thank you for sharing! This is a beautiful story. One can only hope…. Wow, I didn’t know this was possible. What a story. Yes, I want the Lord to hold my hand, all the way! The science behind this alone is interesting. But the connection to how Jesus can live in and through us is spectacular. 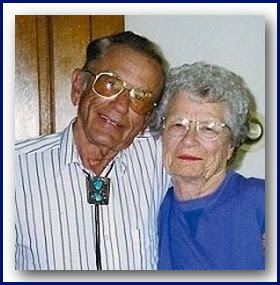 I read about this couple and was so amazed at the heart monitor picking up her heartbeat. This is a beautiful love story. I like what you said the Lord wanting the same for us. Thanks so much, Jackie! I take no credit for it. They really wrote the story. Thanks for sharing it! Bless you! So touching, isn’t it, Debra? And so sweet. Thank you! B…thank you so much for stopping by and commenting. So happy to have you visit. I appreciate it! Bless you! I know, Marja! I didn’t know it was possible either. So awesome! Thanks, sweetie! Bless you! The science part is extremely interesting, isn’t it, Carol? And you’re right, the Jesus connection is spectacular! Thank you! Blessings to you! Thanks so much, Joan, for visiting and commenting. Love seeing you! Makes my heart happy! Bless you! I had heard the story over the weekend, but I only heard parts of it. I had missed out on the part of his monitor picking up her heartbeat. What an application to our spiritual lives! What a blessing! Thanks for sharing, Lynn. Even though I recieve your posts via email, I had to come here and comment. After all the years that I’ve been reading and being blessed by your posts, this may be my favorite. Walking hand in hand with Beautiful now will have a double meaning in both the physical and now the spiritual for I know I’m not only holding her hand but my Lord Jesus’ also. thanks for sharing this amazing story Lynn! I love this story. How amazing love can be when we stick it out through the good, the bad and the ugly. What a testament their love is to the God designed institution of marriage! Beautiful post! I shared it with others via email, as I am a subscriber and it blessed so many people…perspectives change when you read stories like this…for the little things in life that cause to be bothered, and then reading that truly ’til death did they part, holding hands, walking one another from this life into the next life in eternity! Wow…what a way to go. Thank you for your beautifully written post! That is so beautiful! Thank you for sharing, Lynn! Wonderful! I think of my wife and I walking hand in hand through the mall or in the garden and just love the image of walking hand in hand to glory. My husband read that to me right after it happened. We want an enduring love like that – made me think of how marriage unites us into one:)What an awesome inheritance for their children!